NOTE: Finished papers in the above graphic are for illustration purposes only. The edges are only included in this paper pack. 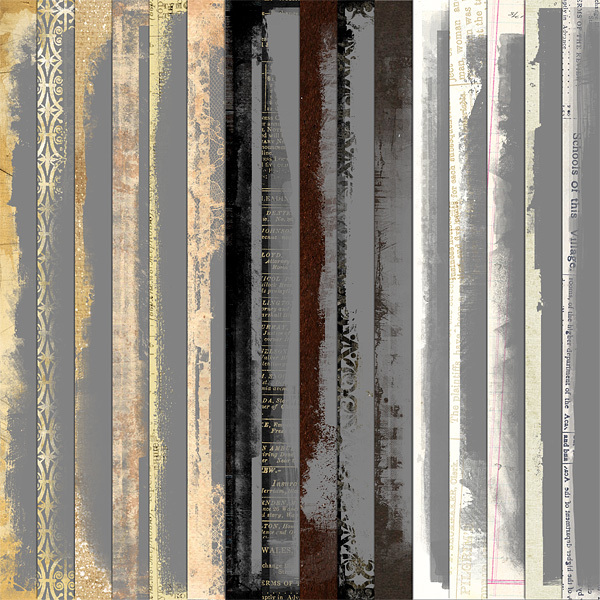 Beautiful foiled golden overlays in a variety of geometric shapes on transparent backgrounds. Created for 12x12 format, but you can resize them to fit any project, these twinkling overlays can be used as borders, you can clip photo into the shapes, or blend them with layer effects. Includes silver, gold, and rose gold versions! 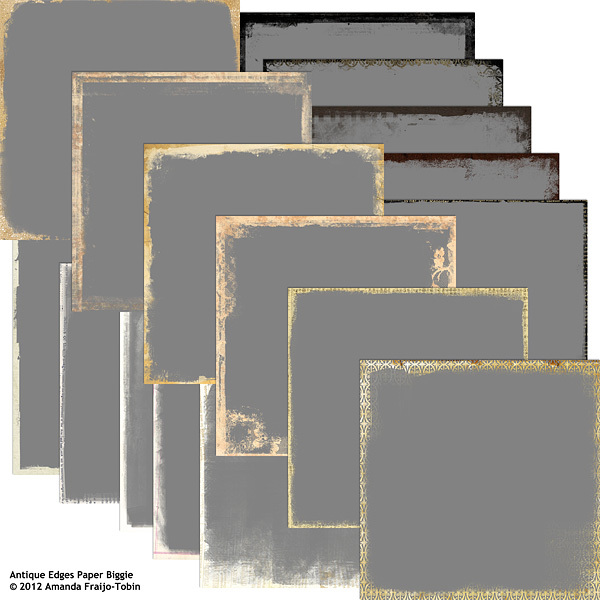 These background paper templates are a great way to create your own background textures, blend photos and more. 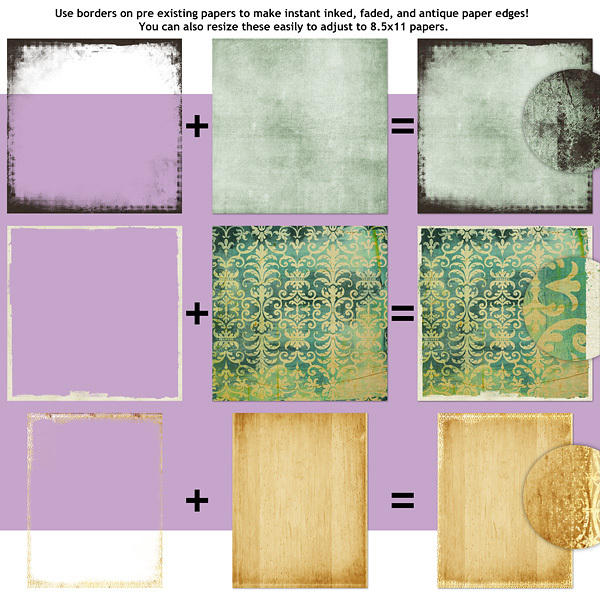 A mixture of vintage papers, grunge, and eroded patterns are mixed to make your blending effortless. Great edges! Really added the finishing touch to my layout. Nice variety of edges - I'm sure I'll be using this often!